Welcome to the Lego The Incredibles Red Bricks locations guide that helps you find the total of 12 Red Bricks locations in the PS4, Xbox One, PC & Switch super action-adventure game. The Timeline for all these in-game Red Bricks locations is listed below. Collecting red bricks in levels will allow you to purchase useful gameplay extras and cheats. * “Collect a Red Brick” (10 Gamerscore / Bronze Trophy) — A Natural Advantage. * “Collect all Red Bricks” (30 Gamerscore / Silver Trophy) — Luck Favors the Prepared. 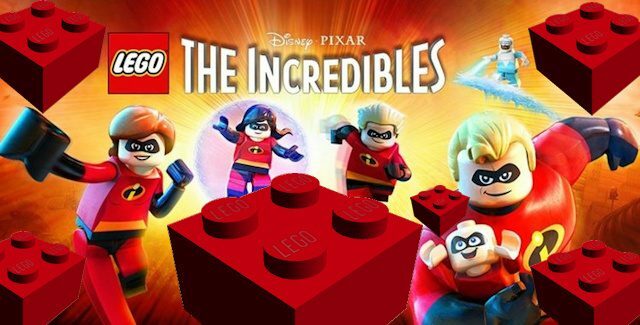 Where to find all Red Bricks in Lego The Incredibles? The in-game collectibles locations for the Red Bricks are described in this detailed video guide. The Red Bricks are listed in the step-by-step video, in the order that they appear chronologically in the open world hub. Tip: Each Pixar Family Build platform costs 5 Incredibricks to unlock. After which you can use the special ability of the character you unlock to find the Red Brick near the Pixar Family Build platform. • [00:08] — Red Brick Location #1: Classic Mode – Found at the Pixar Family Build platform east of Outer Municiberg. • [01:07] — Red Brick Location #2: Pickup Detector – Found at the Pixar Family Build platform in Urbem Heights. • [02:20] — Red Brick Location #3: Destroy on Contact – Found at the Pixar Family Build platform in the Financial District. • [04:13] — Red Brick Location #4: Edna Mode… Mode – Found at the Pixar Family Build platform at the Docks. • [05:23] — Red Brick Location #5: Fast Interact – Found at the Pixar Family Build platform in the Residential District. • [06:43] — Red Brick Location #6: Invincibility – Found at the Pixar Family Build platform at the Waterfront. • [09:14] — Red Brick Location #7: Stud Magnet – Found at the Pixar Family Build platform in the Tourist District. • [10:16] — Red Brick Location #8: X10 Studs – Found at the Pixar Family Build platform in the Industrial District. • [11:32] — Red Brick Location #9: X8 Studs – Found at the Pixar Family Build platform in Downtown. • [12:51] — Red Brick Location #10: X6 Studs – Found at the Pixar Family Build platform at the Waterfront (a little south of the previous one). • [13:37] — Red Brick Location #11: X2 Studs – Found at the Pixar Family Build platform in the City Park. • [14:42] — Red Brick Location #12: Swing Mode – Found at the Pixar Family Build platform at the Waterfront (near the previous one). I hope these tips helped you get all of the Red Bricks hidden in the game. Huge thanks to Camzillasmom for the guide video and tips. Please comment if you have any additional Lego The Incredibles Red Bricks location tips of your own, we’ll give you credit for it. – Thanks for visiting!